Octava Pink test already available in Israel and Italy; FDA reviewing procedure for use in the US. About 4,500 women in Israel are diagnosed with breast cancer every year, according to the Israel Cancer Association, and roughly 900 die annually from the disease. The key, experts say, is early detection - which can raise the survival rate to 90%. Official state policies therefore promote bi-annual mammograms for women between ages 50-74. 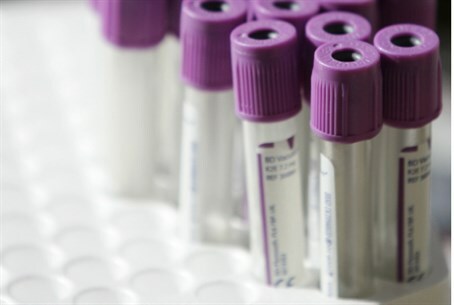 But what if a simple blood test could detect cancer even earlier? Israeli company EventusDx made a major breakthrough in breast cancer treatment this month, reported Ruthie Blum at Israel21c, after completing an eight-year project to produce a cancer-detecting blood test. Research team leader and molecular biologist Galit Yahalom, who spearheaded the project at the company's labs in Moshav Ora (outside of Jerusalem), explained the development to Blum Monday. “For the last decade, we have known that there is a connection between cancer and the immune system,” Yahalom, a mother and Modi'in native who has been working on this project since its inception, stated. Yahalom assembled a team of fifteen biologists and a computer expert to tackle the task of determining which proteins indicate breast cancer in a blood sample. To do so, the team examined the immune system activity of several groups of people, including healthy women, women with breast cancer, and both women and men with gender-specific cancers, e.g. ovarian cancer and prostate cancer. After collecting data from hundreds of healthy women and as many diagnosed with breast cancer, Yahalom’s team looked for the proteins of the immune system responsible for detecting both. They also examined immune-system activity in women with ovarian cancer and men and women with intestinal cancer, to see the distinction from those with breast cancer. The test, dubbed Octava Pink, is now available in Israel and Italy, according to Israel21c. Over 400 tests have been performed since it was released in September, and the Food and Drug Administration (FDA) is currently reviewing the procedure for use in the US.